Isn’t this neat? 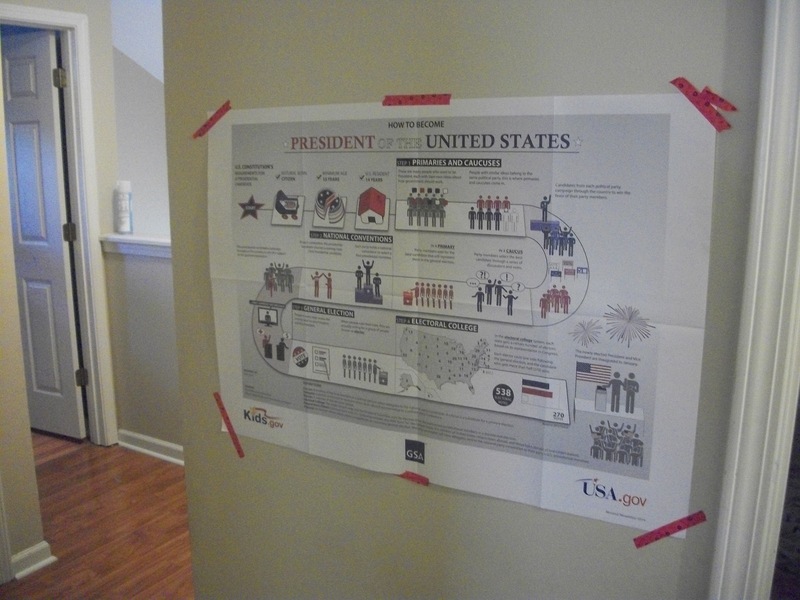 It is a free poster that you can order on How to Become President! I ordered the poster size (yes, even the shipping is free!) and put it up on the wall outside the boys’ bedrooms. They read different parts of it throughout the day – you know, like while stalling bedtime, fighting over whose turn it is to use the bathroom, or just generally goofing off! If you don’t want the huge poster size, you can download a free PDF and print it out on regular paper, or you could have it printed to a size that you prefer.